Millenium Stadium, last Saturday, big rugby game Wales v Ireland and lots of buzz around the City of Cardiff. 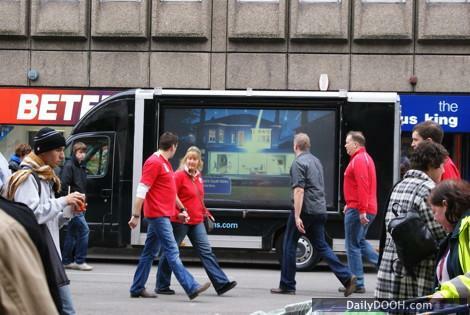 I spotted this DigiAdvan from SA Group running a campaign for BT Infinity on the Saturday. Did I mention the score? This entry was posted on Tuesday, March 15th, 2011 at 08:25 @392 and is filed under Scuttlebut. You can follow any responses to this entry through the RSS 2.0 feed. You can leave a response, or trackback from your own site.